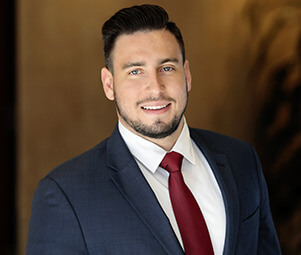 Robert Vasiliavitchious is a premier national client advisor with Matthews Retail Advisors™, a division within Matthews Real Estate Investment Services™. Robert specialized in representing clients in the acquisition and disposition of net-lease investment properties nationwide with an emphasis on quick service restaurants (QSR), and the Midwest region. His market knowledge, unrelenting work ethic, and professionalism have leveraged his relationships with private investors, developers, institutions, and 1031 exchange buyers to better position his clients in their investment strategies and goals. Prior to joining Matthews™, Robert served as a mortgage banker’s associate. Here, he assisted with loan turnaround of mortgage applications, reviewing purchase contracts, and optimizing the flow of documents between the clients, third-party vendors, and loan processors. His market insights and unparalleled ability to aid people in achieving their investment goals have contributed to Robert’s role at Matthews™.